New Years Resolutions – The Battle Was Just to Continue that Future! 2011 has been a rather good year for me and it has seen my blog grow. At the start of the year I took a rather scatter-shot approach to content which saw me post about anything and everything. Then I developed a focus on films because I go to the cinema nearly every week and regularly write to film magazines and the BBC’s various film and culture programmes. Thankfully I made the decision to focus on Asian cinema in general and Japanese cinema in particular which allowed me to focus on an area I have long been passionate about and to contribute to the awareness of Asian cinema. 2011 has been marked by two things – I went to the cinema less and I bought more Japanese films on DVD. This is partly explained by my decision to shift the blog to focus on Japanese films and bore people to death with my opinions on them. It’s also explained by the fact that few titles released in cinemas captured my imagination this year. There was no film like Inception that totally blew my mind as to what a major Hollywood blockbuster could do, where films could technically and thematically go and what they could visually depict. There was no film like Scott Pilgrim that appealed to the nerdy fanboy in me and showed wild visual imagination. Okay, I’m demanding. Of the films I did write about seeing they have all been well-crafted but lacked a magical hook for me. Norwegian Wood was a visual spectacle but having read the source novel I felt that the filmmakers had excised so much source that what was left was hollow much like Tinker Tailor. The King’s Speech was a lesson in excellent acting and brilliant writing but lacked any challenging or euphoric elements which made me tackle thinking about it with any gusto. Jane Eyre captured what I had imagined the book to be like but the fire of romance was lacking. I did gain a new depth of understanding for Lars von Trier and Pedro Almodovar. When I think about it I’m left with one title that did impress me. It made me so happy to be alive and able to watch it on the big screen. 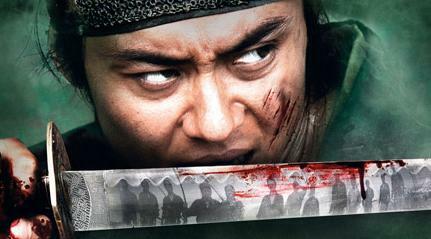 If there is a cinematic equivalent of a pleasurable electric chair (if one exists…) then 13 Assassins was it for me. For the first half of the film there was an ominous and careful build up as the narrative and historical details gripped me by the arms and walked either side of me, escorting me to my seat and attaching the restraints. I felt my nerves pushed increasingly on edge as an impending sense of dread stole over me and I wondered what I would meet in the second half of the film. Takashi Miike flicked a switch and for an hour I felt like electric was coursing through my body as I twitched and ducked, grinned and winced while I watched an hour-long on screen battle. Has there ever been a film which has had a battle last more than an hour and maintained a sense of coherence and interest? If there has then it hasn’t been as good as 13 Assassins. This was a lesson in carefully choreographed and controlled the chaos as charismatic characters contained and killed scores of samurai so stylishly that I can still remember snatches of sequences as I write this. When people comment about Takashi Miike they focus too much on him being an extreme director and miss his skill and interest in (mostly twisted) humanity and the cinematic craft that he can bring when focussed. Audition is probably the biggest example. Other critics have been somewhat sniffy towards this when comparing it to the original 1962 version but I have yet to see that one so I cannot comment. All I know is that when I stepped out of the cinema with the end credits still rolling I was on a cinematic high, grinning maniacally and full of vim and vigour. Not even a sudden rain storm could wash away my feelings because I had just seen a film that got my blood rushing! I loved every moment of it. Slice of life meets dark fantasy meets mind-f*ck meets surrealism meets arcane symbolism and plenty of other good stuff. In a medium which produces so many titles catering to Otaku with so-so stories, cliched plots and tacky sexism comes a title that is willing to engage the audience in a visual war that is unrelenting and all conquering. Each scene is packed with meaning, the way characters interact, their routines and rhythms and the gradually darkening world around them. Sure it comes in sugar sweet packaging but this is a wolf in sheep’s clothing as we get a psycho-sexual trip through an anime landscape filled with so many tropes that are picked apart in a post-modern way. It’s just the way the writer and director Kunihiko Ikuhara operates. Whether the audience will understand any of what’s going on will be dictated by the degree of their understanding of Japanese culture and how many times they’ve paused a scene and looked up things on Wikipedia. Not that it matters because you can sit back and just enjoy the ride but it seems a waste because so few anime push the boundaries or experiment. Wait, that’s not true. So few anime push the boundaries and manage to maintain any forward momentum. I’ve already written about this but I love it. It’s the first show since the first season of Heroes that had me on the edge of my seat, desperate to see what happens to each character I care about, where every scene and moment can take a fantastical and dark turn full of visual and aural inventiveness and the story line goes where I don’t expect it. Sometimes I think it’s just me. I’m a snob and my taste is too different, too individual and too niche and I’m pretentious. This is the first title where I can say that people will like it. People will like it because of the content on the screen and not just the pretty images but the (potential) symbolism behind everything which allows conversations to blossom. Nobody anywhere will have cause for complaint. You will be entertained at different levels. People may not “get” it and it might not get into the top three of many lists but they sure will like it. Me? I love it! You’re probably not convinced by my babbling. That’s okay. Just know that you’ll be missing out on one of the best anime of the year.If you do need convincing then here’s someone smarter and more articulate than I am waxing lyrical about it. I had been meaning to write up my thoughts about this anime for a long time but never got around to it. A shame really because as it aired over the year it wormed its way into my affections. After watching the first few episodes of Steins;Gate the signs were not overly positive. I found that my viewing experience was like being mired in a swamp, desperately scrambling to bits of high ground before slipping back into energy draining mush. I found it slow to build, visually sharp but muted and the mix of Akihabara culture and Back to the Future quaint. The little details and snatches of everyday life were nice but their repetition was grinding. It served a purpose because of the time travel and parallel universe elements which were subtly done. I even hated the opening and end themes. As I continued to watch it gradually won me over. The little details and snatches of everday life grew ever more important and all of the things that I noticed from earlier episodes gained new meaning, the way things changed grew in significance and the breathtakingly intelligent design in the plot became clearer. 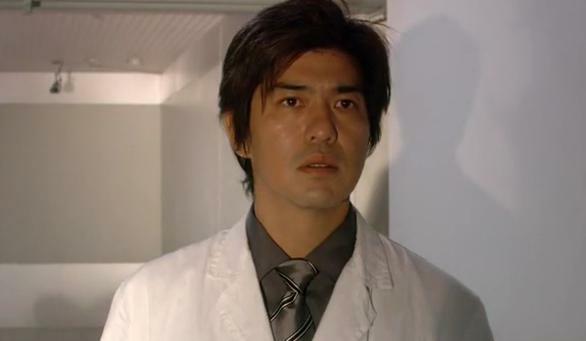 The most important element was its central character Okabe Rintarō. Initially he seemed like a crackpot inventor but through the use of time-travel and parallel dimensions we saw a real humanity emerge and I empathised with the guy as he struggled and almost broke through the repeat torture of botched missions along some time line as he strived to save his friends and maintain people’s happiness. His blossoming romance with Kurisu was heartening and heart-breaking but it was his brotherly love for Mayuri that spoke the most. 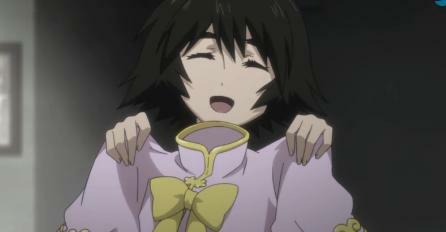 Hell, who wouldn’t want to be a protector of Mayuri, the show’s secret weapon. It is Christmas Eve, I have done no wrapping and I’m putting the finishing touches to this blog post. Priorities, right… I’ll start wrapping presents while listening to some J-Rock after finishing this post! Twitch broke news about Third Window Films ending the year with yet another awesome acqusittion announcement (I do like alliterations!) in the form of Kotoko from legendary J-horror director Shinya Tsukamoto (you should know him from the Tetsuo films and Nightmare Detective). Reading the synopsis this sounds more in the line of his dark dramas like Vital. A single mother begins to see doubles and becomes paranoid which makes taking care of her baby a nightmare. Her only relief from the double vision is singing and cutting herself but she soon suffers a nervous breakdown and her baby is taken away. One day, while riding a bus, she sings to herself and this catches the attention of a man who falls in love with her. The man is a novelist and he begins stalking her until they engage in a volatile relationship which seems to ease her visions and paranoia. Then her baby returns and her condition worsens. Anyway these are the last films to be released in Japan for 2011 and a trailer for Rurouni Kenshin which will hit next year and looks particularly awesome. The live-action adaptation of Nobuhiro Watsuki’s chanbara manga Rurouni Kenshin wasrecently released. The film’s titular character is played by Takeru Sato who has appeared in the live-action adaptation of BECK and Emi Takei, star of Takashi Miike’s forthcoming Ai to Makoto adaptation, takes the lead female role of Kaoru Kamiya. The film is being directed by Keishi Ōtomo who directed a popular NHK historical television series named Ryomaden which featured Sato. The story takes place in the early Meiji period, a time of transition for Japan where industrialisation allowed Japan modernise itself and consign samurai to the history books as they are replaced by guns and are banned from wearing swords in public. One such samurai is Himura Kenshin who was once an elite assassin during the final years of the Edo period he now finds himself as a wandering samurai offering aid to those in need as atonement for his past actions. During his travels he meets Kaoru Kamiya, an instructor at her father’s Kendo school. She offers Kenshin a place to stay at her dojo and their relationship begins to blossom but Kenshin’s past will soon catch up with him. Writing for an anime website brings me into contact with many trailers and I must admit to falling for all sorts of things. Here’s an anime I’m keeping an eye on but it does have a strange name: Gothicmade. Mamoru Nagano’s anime movie, Hana no Utame Gothicmade will go on theatrical release next spring and it has a refreshingly old-school feel to it. Carmine is a tiny colony world under the harsh control of the ruling interplanetary league. It would be unremarkable except that this planet special is that it has a special tradition: young women known as Sonstresses inherit and pass down the memories of the generations that came before them. They then use this knowledge to help the people of their planet. A 16-year-old named Bellin Ajelli has been reborn as a songstress and must set out on a holy pilgrimage across the planet to the capital. After hearing rumours of a possible terrorist attact the militant Donau Empire send Prince Truhallon to protect her but he is the antitheis of everything Bellin believes in. The two are stuck together on their journey to the capital of Carmine. Originally announced in 2006, this project is the directorial debut of designer and manga creator Mamoru Nagano, best known for his mecha saga Five Star Stories. Nagano has played a major part in the project, writing, storyboarding and animating it. The film also marks 65 years since the founding of Kadokawa. J-horror imagery has become so clichéd that Hollywood has appropriated it, parodied it and moved on. Infection is a nice surprise as it expands the territory of J-horror by adding psychological horror, neat set-pieces using the hospital and the green gloop of the infection itself. 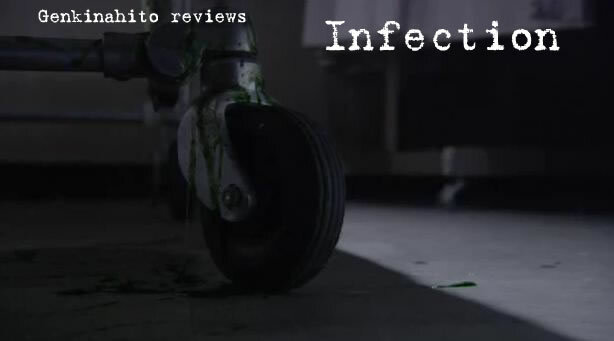 Infection takes place over a single night in a failing hospital where the doctors are late getting paid, supplies are running out, nurses are quitting, and those that are staying are either inexperienced or so overworked they fall asleep standing up. There are a lot of neglected patients including one covered in bandages, a man in constant pain, a victim of a hit and run accident and a senile old woman who sees ghosts. Trying to hold things together is Doctor Akiba but when a patient with a mysterious infection appears and a fatal medical blunder occurs, events spiral out of control. Ochiai spends the first quarter creating a convincing and disconcerting sense of decay and claustrophobia in the hospital. The set is a lobby, some corridors and a few rooms which look run-down. The place is packed with a variety of patients with a variety of maladies that look difficult to treat. Equally varied are the hospital staff who look exhausted and, as the dialogue reveals, are pushed to the edge due to various crises and personal troubles. Patients are mishandled and ignored while the staff members bicker amongst themselves, doctors upbraid the (foxy) nurses who bully less experienced (but equally foxy) nurses. Christmas is just over a week away and my consignment of Japanese horror films has arrived so no more skimping on reviews – I’ll dial it back up to two a week! I’ve got quite a few anime reviews on ice with Noein coming in for New Years Eve – a year after I last watched it. I’m also going to try and get a little order into my trailer posts so commenting on charts and the latest releases will continue on Saturdays and brand new trailers for future releases get their own posts on Fridays. I have never paid any attention to the Kamen Rider series and I don’t intend to start now even if the number one film is part of the mega popular franchise. Interesting to see that K-ON! Is still hanging in the top five beating Genji Monogatari which debuted last Saturday and entered the charts at number 5. I only heard about this when I did a little coverage of the BFI London Film Festival where the film was playing. It stars Ryo Ishibashi, a familiar face from many Miike Takashi works including Audition, as well as Takeshi Kitano films like the brilliant Kids Return and Brother. I’m familiar with the lead actress through her work in anime like Summer Wars and The Girl Who Leapt Through Time Aoi Nakamura was one of the actors in the Third Window Films release Quirky Guys and Gals. The Iranian director of Cut is unknown to me but the film looks to combine a love of film with gritty violence. Oh, and it stars Denden. A struggling filmmaker Shuji (Hidetoshi Nishijima) becomes a human punching bag to pay off his brother’s debts. These debts were incurred in order to fund films and the non-payment resulted in the brother being killed by the Yakuza. There are some anime films that I can watch every year. There are some television shows, not many, that I can watch more than once. There are many many more anime that have an interesting concept or look great and then they bore me to tears and I bail out after a few episodes. This 25 minute OVA has caught my attention and I feel like I can watch it over and over and over again. 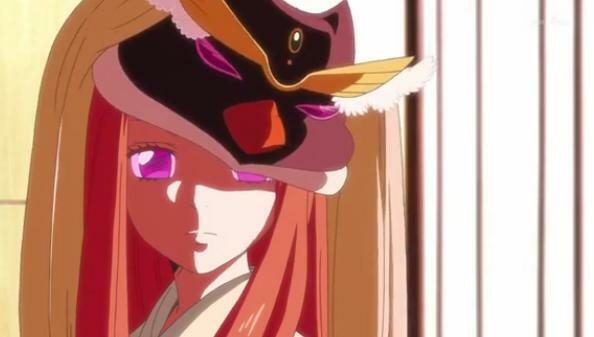 The story takes place in a mirror world version of Kyoto where humans and spirits are thrown together. An incident causes a young girl named Koto to wander into this world where she meets a mysterious monk, gets chased by tech-obsessed girls and uncovers a mysterious plot. Terracotta’s horror imprint, Terror-Cotta is following up Death Bell with Wong Ching Po’s Revenge: A Love Story. · “What is Terracotta Festival?” Featurette. This Hong Kong thriller is a dark and bloody serial killer film telling the killer’s side of the story. It has garnered some excellent reviews . Check the trailer to see more! Christmas is drawing near and Japanese lessons are drawing to a close for the year. One more and then a party. Last lesson was a total blast since we talked to native Japanese speakers and it exposed us to the language in natural conversations. It was fun and enlightening! Also fun was ordering my Christmas batch of Japanese DVD’s so expect more reviews… That’s not a threat by the way. I’ve also got a schedule for the Studio Ghibli films that Film4 will screen over Christmas as compiled by an Anime UK News forumite. That’s at the very bottom of this post. Yet another week where the trailers are linked by the fact that the films are all based on manga/books but there are big changes at the top of the Japanese box-office. Kaibutsu-kun is still number one but Tintin enters… at number three… it has been beaten by K-ON: The Movie, Despite writing about this for Anime UK News I haven’t really paid attention to it but K-ON is pleasant and the girls are coming to the UK which is cool. Fun K-ON! AMV at the end! The four members of Sakuragaoka High School’s light music club are nearing graduation and decide to go on a post graduation trip to London together with a new fifth member named Azusa.